This month we come to you from the red carpet at The Odeon Leicester Square for the premiere of THE IMITATION GAME. 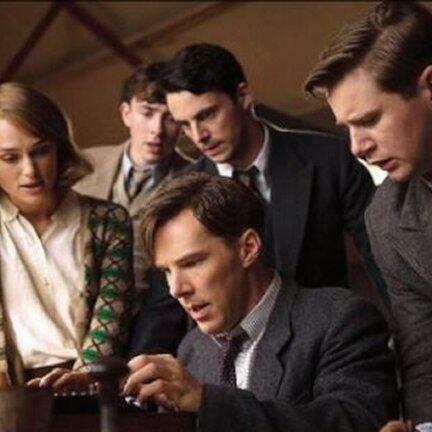 The movie based on the life and work of Codebreaker Alan Turing was picked to open the prestigious 2014 BFI London Film Festival. To celebrate the film’s release in UK cinemas on the 14th of November, Bletchley Park will open a major new exhibition, taking visitors behind the scenes of this highly anticipated movie. We’ll bring you more on that next month, now, though, we can bring you exclusive behind the scenes interviews recorded during filming in the Mansion at Bletchley Park in late 2013. We first spoke to two members of the Turing family. Dermot Turing is a Bletchley Park Trustee as well as being Alan Turing’s nephew. His son, James, signed up as a supporting actor - once known as extras, for the film .We chatted to them both about what it was like to be involved in a film about the famous relative they’re both too young to have ever met. Then, screen writer Graham Moore and executive producer Teddy Schwarzmann somehow managed to find time in the busy schedule of filming to sit down with us to talk about how they first discovered Alan’s story and wanted to bring it to the world. Finally this month, as always, we bring you an interview with a real Bletchley Park Veteran. Dot Tuffin was a Bombe Wren based first at Eastcote and later posted to Colombo. When she visited the newly restored buildings at the Veterans’ preview in May, the memories came flooding back.